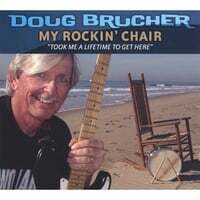 Boomer Rock - Baby Boomer Rock & Roll that addresses getting older, lifestyle adjustments, retirement and staying active. Music has been the passion of my life ever since I attended a wedding reception back in 1957 at age 10. There was a 3-piece rock & roll combo playing and I can still remember the drummer who thunder-struck me as being the coolest guy on this planet. Drums have been a part of my life ever since and I've enjoyed playing countless gigs with so many great bands over the last 5 decades. I moved from Upstate NY to California in 1969 after college to take a job as an engineer - from which I've recently retired. Along the way I got married, raised two kids, bought an old guitar, learned how to play C-F & G chords, collected other music stuff, and set up a studio in my house. Here it is 50 years later and I finally have the time and the tools to create my first CD music album. Boomer" generation face in today's society.